Baadshaho Official Teaser: The Bollywood action hero Ajay Devgn and romance king Emraan Hashmi starrer upcoming film is Baadshaho Teaser Released Today and going viral on the internet. Baadshaho action thriller film written by Rajat Arora, directed by Milan Luthria. The Baadshaho Film features Ajay Devgn, Emraan Hashmi, Esha Gupta, Ileana D’Cruz Vidyut Jammwal and Sanjay Mishra in the lead roles.Gulshan Kumar presents a T-Series production in association with Vertex Motion Pictures Pvt Ltd. 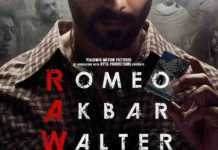 Produced by Bhushan Kumar Krishan Kumar and Milan Luthria. The Baadshaho official teaser has been released by T-Series on its YouTube channel, and we start off with the Emergency being announced, with the country going into lockdown mode. Amid this, a bunch of six “badasses” (men and women) have decided to pull off a heist that could bring them untold wealth. 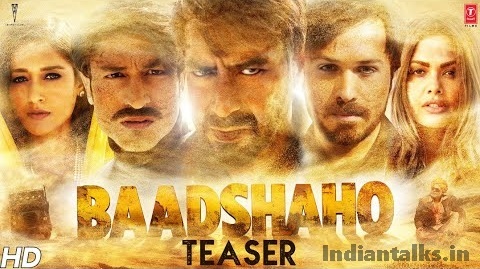 The Teaser introduced to the principal characters — Ajay Devgn, Emraan Hashmi, Ileana D’Cruz, Esha Gupta, Sanjay Mishra, Vidyut Jamwal — and vignettes of Rajasthan’s desert and glorious havelis, some high-octane stunts and dialogue baa Zi that don’t really establish the plot of Baadshaho as such. It is believed that the film is based on Indira Gandhi’s orders to take over Jaigarh Fort (which was believed to be the hiding place for Raja Mansingh of Jaipur’s treasure — spoils of war from his campaign in Afghanistan during Emperor Akbar’s time) at the time of the Emergency.The Baadshaho movie is going to hit the theaters on 1st September 2017. Tags: Baadshaho Official Teaser, Baadshaho Teaser, Baadshaho Movie Teaser, jay Devgn, Emraan Hashmi, Esha Gupta, Ileana D’Cruz, Vidyut Jammwal.